Good news today if you are an AT&T subscriber sporting the Samsung Galaxy S6 or Samsung Galaxy S6 edge. Both models are in the process of receiving Android 5.1.1 via an OTA update. The file weighs in at 660MB, and changes some of the icons to match the ones employed on the Samsung Galaxy Note5. In addition, the update brings mobile payment service Samsung Pay to the phones. The latter will launch in the U.S on Monday. Unlike Apple Pay and Android Pay, Samsung Pay works with both NFC and Magnetic Secure Transmission. As a result, the service supports 90% of retailers globally. Because the update is being sent out on a staggered basis, you might not see it hit your phone for a few days yet. Don't let your feelings get hurt, eventually you will receive a notification that the update has arrived. If you are impatient, you can try to manually shake out the notification by going to Settings > About device > Software update. Once you are ready to begin the updating process, make sure that you are on a Wi-Fi network in order to save your precious data. And your battery should be charged to at least 50%. Having your phone shut off because the battery died while in the middle of performing an update, can sometimes lead to problems with your handset. 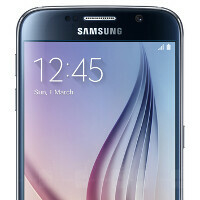 T-Mobile US released 5.1.1 for the Galaxy S6 before Samsung sent it out to international models. I got this update on mines today it added Samsung pay,Android pay and on the camera live broadcast. Mine is already updated to 5.1.1. Liking it so far. *Update Article* I have a Sprint Galaxy S6 Edge and I got a "Samsung Pay" update this morning. Haven't gotten the full Samsung pay app but I've had 5.1.1 for the longest on sprint.